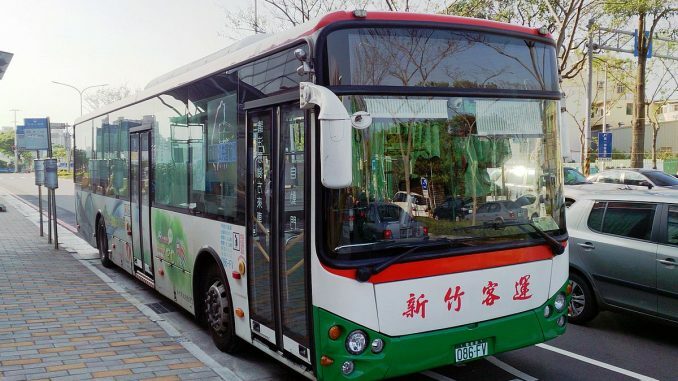 The China-based #Shanghai #Aowei Technology Development Co., a #developer of #electric double layer capacitors, is considering the possibility of #joint production of #electric buses in the #Ukrainian city of #Chernihiv. The transition to #e-mobility should disrupt the poor #environmental #performance of the traditional car manufacturers. Shanghai Aowei Technology Development Co., a Chinese manufacturer of double layer capacitors and ultracapacitors, has shown interest in establishing a joint production base for electric buses on the premises of the Chernihiv Automotive Plant owned by Etalon Corporation, as reported in a press release of the Chernihiv city council. At the beginning of July, representatives of the Chinese company met with the mayor of Chernihiv Vladyslav Atroshenko and visited the production premises. In particular, the Chinese consider the assembly of electric buses on the premises of the Chernihiv Automotive Plant. It should be noted that this was only the first visit; the negotiations with the car manufacturer should take place in the near future. According to the press release, the representatives of the Chinese company admitted the potential of the Chernihiv Automotive Plant in the view of the joint production of electric buses. The Chinese want to implement their technologies together with the local manufacturer. According to representatives of Shanghai Aowei Technology Development Co., they have already successfully implemented a similar project in Belarus. While China is becoming one of the world leaders in the production of electric busses and investing billions of government money into research in this area, Ukraine is just facing the decision whether to focus on zero-emission bus transport. With its renewable energy offensive, high investments in infrastructure and numerous start-ups, China is currently the number one e-mobility country. Thus, the People’s Republic anticipates changes that are just starting in Ukraine. Shanghai Aowei Technology Development Co., Ltd. was founded in 1998. It is an export-oriented enterprise specializing in the development, production and sale of electric double layer capacitors and ultracapacitors. The company’s electric double layer capacitors are used as alternative energy in smart appliances, computers, household electrical appliances, and electric toys. In addition, they are also used in electric motors and other electronic devices for electric buses.